The Spectator Bench is the perfect addition to any room with a pool table. 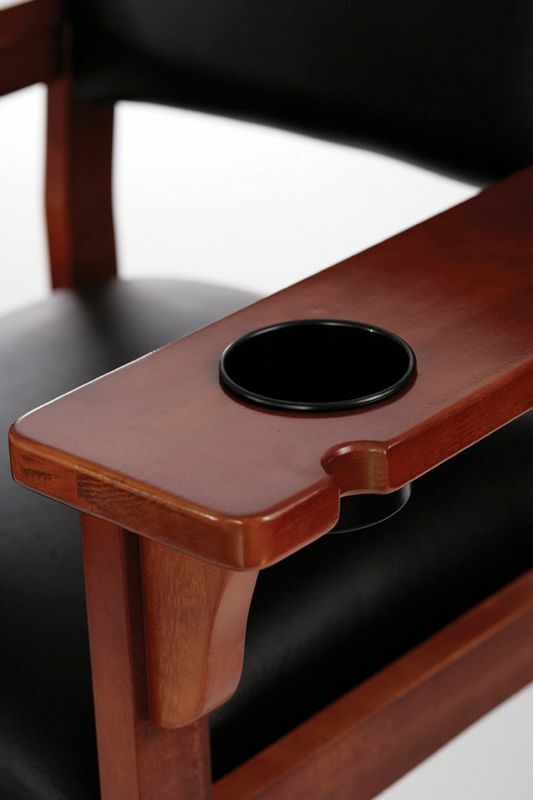 This bench features cue rests and drink holders. 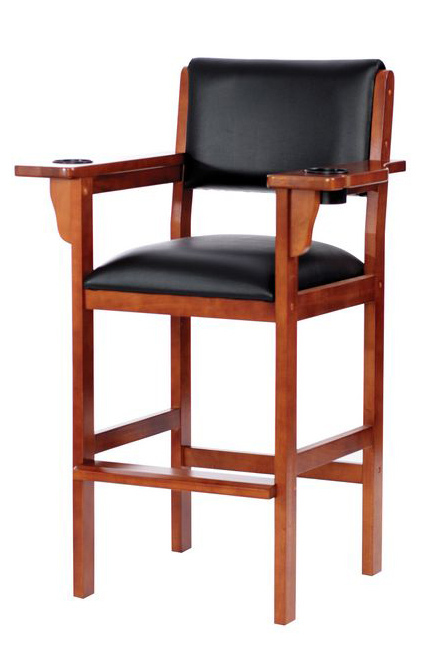 Choose from four wood finishes "Classic Oak","Traditional Mahogany", "Honey Maple", or "Cinnamon". Choose from three fabric options "Antique Pool Room", "Brown Leatherette", or "Black Leatherette".